 Welcome to this month's edition of Kansas City Apartment Living brought to you by RM West, our apartments for rent in Kansas City, Missouri. This month we're bringing our residents suggestions for celebrating Breast Cancer Awareness Month and National Vegetarian Month, topics surrounding upcoming holidays like National Cat Day, and movies you might want to check out this month like Goosebumps 2: Haunted Halloween. Read on to learn more about these topics in today's blog post. October is Breast Cancer Awareness Month! Whether you know someone who has breast cancer or just want to raise awareness, October is a good month to donate or head in to the doctor’s office for a mammogram. About 1 in 8 women in the United States will develop invasive breast cancer over the course of her lifetime, and men have a 1 in 1,000 chance of a diagnosis, so the world is always in need of support. Are you a vegetarian? If so, October is the perfect time to celebrate National Vegetarian Month! If not, you can use the month to try out some vegetarian dishes and see what it’s like. Not all vegetarian dishes need to be bland and unappetizing, so we suggest trying out these vegetarian recipes from the Food Network. Who knows? At the end of the day, you might actually find some recipes worth making again! Will you be celebrating National Cat Day this year? If you have a cat, you can use October 29th as a day to pamper your feline friend more than you normally do. A few ways you can pamper them include buying them new toys to play with, creating an area for them to lounge in, and grooming them extra well! Always remember to treat your pets well and take care of them. Are you a chocolate lover? To celebrate National Chocolate Day this year, we suggest indulging in some chocolates from Christopher Elbow Chocolates! The offerings at Christopher Elbow are gourmet and are meant to be savored and enjoyed. If you’re looking for a less expensive alternative, you can just head to the grocery store to pick up your favorite chocolate bars to snack on. National Chocolate Day is October 28th, so don’t miss it! Looking for some weekend plans? We suggest going to see Goosebumps 2: Haunted Halloween in theaters Friday, October 12th. Halloween comes to life in a brand-new comedy adventure based on R.L. Stine’s 400-million-selling series of books. Have you already bought your tickets to see Goosebumps 2: Haunted Halloween? Check it out this weekend! Are you in the mood for an action movie? We suggesting going to your local theater and checking out Venom. It comes out in theaters on Friday, October 5th, and it’ll offer you a twist from the classic superhero movie you’re used to. Reporter Eddie Brock develops superpowers after becoming a host to an alien parasite. Plan your weekend today by buying tickets now. Buy or rent Skyscraper this month! Former FBI Hostage Rescue Team leader and U.S. war veteran Will Ford now assesses security for skyscrapers. He's on assignment in China when he finds the tallest, safest building in the world suddenly ablaze, and he's been framed for it. A wanted man on the run, Will must find those responsible, clear his name and somehow rescue his family, which is trapped inside the building, above the fire line. Skyscraper is an awesome movie. Rent it today at a nearby Redbox!